Dr. Debra Pan is 2001 Honor Graduate, Class Rank 5th in the Doctor of Dental Medicine D.M.D. Program at Boston University Henry M. Goldman School of Dental Medicine. She was a national recipient of the American Student Dental Association Award of Excellence (A.S.D.A. ), Pediatric Dentistry Outstanding Clinician Award, and President of the American Dental Education Association (A.D.E.A.) Boston University Chapter and National Council of Students. Prior to being a dentist, Dr. Pan graduated Salutatorian with Second-Highest Honors from Forsyth School for Dental Hygienists in Boston and also, received a Master of Science in Dental Public Health and Health Care Management degree with Honors from Boston University School of Dental Medicine. A lifelong resident of Melrose and a graduate of Melrose High School, Dr. Debra Pan has been practicing family dentistry for adults and children with her husband, Dr. Nelson Pan. They have been in their current Melrose location for over 20 years at Pan Dental Care. In 2016, Drs. Debra and Nelson Pan were overjoyed to announce that their oldest son, Advanced-trained Dr. Jeffrey Pan, joined Pan Dental Care as our In-house Dental Implantologist, Cosmetic & Restorative Dentist with a Post-Doctoral Certificate in Advanced Education in General Dentistry providing the most innovative and advanced techniques in Computerized CAD/CAM Digital Dentistry. Dr. Jeffrey Pan was honored as the Doctor of Dental Medicine's Commencement Student Speaker of University of Connecticut Health Center's Graduation Commencement Ceremony. He then attended Boston University School of Dental Medicine's post-doctoral program in Advanced Education in General Dentistry. Dr. Jeffrey Pan has advanced training in Dental Implants, Cosmetic and Restorative Dentistry. During the Certificate of Advanced Graduate Studies (C.A.G.S.) 2017 Convocation at Boston University School of Dental Medicine, Dr. Jeffrey Pan received the Award in Clinical Dentistry in Advanced Education in General Dentistry (A.E.G.D.) for Outstanding Clinical Performance. Pan Dental Care is the recipient of the prestigious Best of Boston Top Dentist Award featured in Boston Magazine! Dr. Debra Pan and her husband Dr. Nelson Pan have been Voted #1 Dentists in Melrose and the Surrounding Communities - Regional Gold Award by the Readers Choice Awards since 2001. We are the proud of our award-winning Best in Melrose in Dentistry since 2016 and Melrose Hall of Fame Award for winning three or more consecutive Best in Melrose Awards!! Pan Dental Care's Family & Cosmetic Dentistry, Orthodontics, Pediatric Dental Care for Children, Periodontics, Dental Implantology private practice have all State-of-the-art Sterilization and 'Drill-less' Dentistry. The Doctors are proud to provide an Advanced Computerized Digital Dentistry Facility for the highest-quality comfortable dental care available. Specialty equipment includes computerized technology for 'Single-Visit' Porcelain Crown and Veneers CEREC 3D, Galileos 3-D digital scans, Biolase Laser for gentle hard and soft tissue treatment, Instant Computerized Digital X-rays, Rotary Root Canal Computerized Treatment, Drill-less Air Abrasion Unit, Intraoral Camera, Smooth Electric Handpieces, Invisalign, Zoom 2! Teeth Whitening and much more. In addition to private family dental practice, Dr. Debra Pan was promoted in December 2018 to Clinical Professor at Boston University Henry M. Goldman School of Dental Medicine in the Department of General Dentistry. During the 2008 Boston University School of Dental Medicine's Graduation Commencement Ceremony, Dr. Debra Pan received one of the highest awards bestowed upon a faculty member at the School of Dental Medicine: The Dean Spencer N. Frankl Award for Excellence in Teaching. In the Doctor of Dental Medicine Program, Dr. Pan is a General Supervising Faculty in the Pre-Doctoral Patient Treatment Center in the Department of General Dentistry. Clinical areas include Cerec 3-D Digital Dentistry in CAD/CAM Computerized Technology, Implant Restorative and Fixed Prosthodontics, Operative Dentistry, Occlusion and Removable Prosthodontics. Dr. Debra Pan truly enjoys contributing her vast clinical knowledge and teaching expertise in national professional organizations. An active member of the American Dental Association (A.D.A), she was appointed in October 2016 to The Commission on Dental Accreditation (C.O.D.A.) as a Site Visitor in Pre-Doctoral Clinical Sciences. In June 2016, Dr. Pan was appointed as an Examiner for Dentists Licensure to The Commission on Dental Competency Assessments (C.D.C.A) - Formerly the Northeast Regional Board of Dental Examiners (N.E.R.B). She is a selected 2009 graduate of the Leadership Institute of the Massachusetts Dental Society where she has served as a Delegate representing East Middlesex in the House of Delegates, Council on Dental Education, and Speaker at the Yankee Dental Congress and Massachusetts Dental Society. In March 2016, Dr. Pan was a Research Presenter at the American Dental Education Association (A.D.E.A.) TechExpo Annual Conference in Denver, Colorado. Fellow in The American College of Dentists Dr. Debra Hong Pan, a Family Dentist for Adults & Children at Pan Dental Care in Melrose www.PanDentalcare.com and Clinical Associate Professor at Boston University Henty M. Goldman School of Dental Medicine, was named a Fellow in the American College of Dentists (ACD), the oldest major honorary organization for dentists. Its members have exemplified excellence through outstanding leadership and exceptional contributions to dentistry and society. The induction ceremony was held on October 18, 2018, at the American Dental Association Annual Conference in Honolulu, Hawaii. Dr. Debra Hong Pan, a Family Dentist for Adults & Children at Pan Dental Care in Melrose www.PanDentalcare.com and Clinical Associate Professor at Boston University Henty M. Goldman School of Dental Medicine, was named a Fellow in the American College of Dentists (ACD), the oldest major honorary organization for dentists. Its members have exemplified excellence through outstanding leadership and exceptional contributions to dentistry and society. The induction ceremony was held on October 18, 2018, at the American Dental Association Annual Conference in Honolulu, Hawaii. 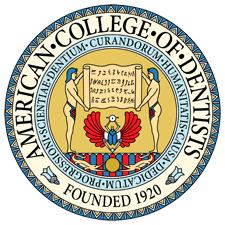 Fellowship in the American College of Dentists is by invitation and is based on a proven, confidential, peer-review system that has remained intact since its founding. A Fellow's credentials may be reflected in professional organizational involvement, dental education, dental research, dental journalism, or other areas. Additionally, candidates must be members of the American Dental Association or an equivalent foreign organization if applicable. There is also an ethical component to Fellowship, where the candidate must be of a good moral character and have a reputation for ethical conduct and professional standing that is unquestioned. Personality, integrity, education, unselfishness, and high professional ideals, as well as freedom from mercenary tendencies, shall be considered. The College has played a vital role in positively shaping the profession. Early accomplishments include being the first organization to continuing education, organizing and incorporating the American Association of Dental Editors, and essentially saving the Journal of Dental Research during the Depression. The College is currently involved in a wide range of activities, nationally and locally, to accomplish its mission. These efforts include ethics summits, online courses in dental ethics, the Professional Ethics Initiative, an entry-level ethics course, online leadership courses, leadership symposia, a multimedia dental history resource, and resource materials for dental schools.